Cold formed created many innovations in the pile industry such as wider, deeper, multiple thickness sections.This is great advantage for design institute and clients. 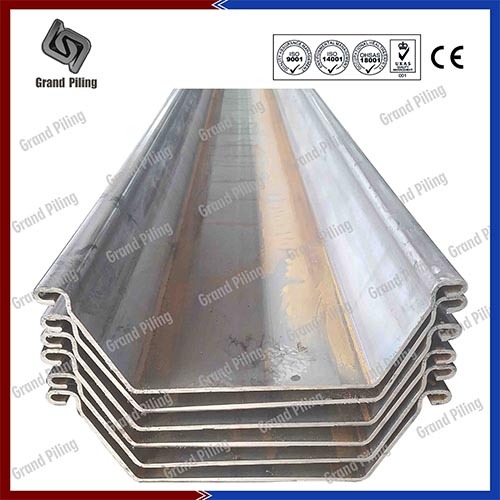 Cold formed steel sheet pile was introduced over thirty years ago. There are now over a dozen mills producing cold formed steel sheet pile worldwide compared to a half dozen hot rolled mills worldwide. Special shapes and sizes of steel sheet piles are manufactured for meeting the requirement of junctions and other similar situations.In fact, cold formed piling has never had a propensity to drive out of the interlocks like many hot rolled sheets in difficult driving conditions. 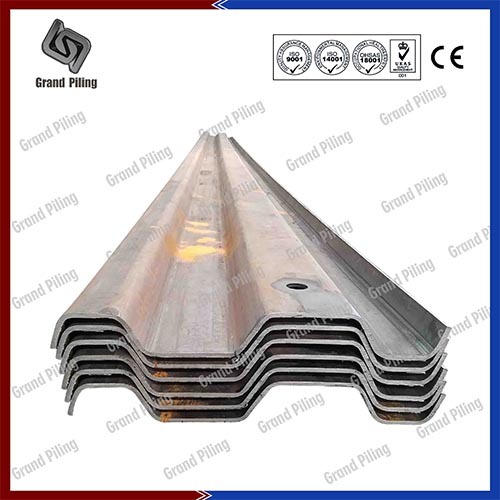 Cold rolled sheet pile are also called cold formed sheet piling, are produced from steel coils through different rollers at ambient temperature. 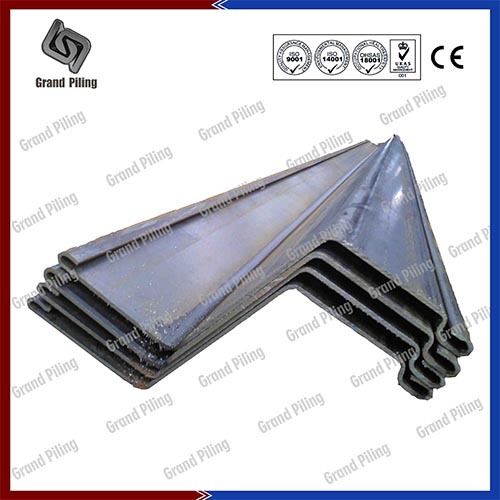 Due to the light weight and bigger modulus of section, cold formed types are widely used all over the world. There are different cold formed steel sheet piling types in our catalog, U type, Z type, Omega type, and trench sheets. And we can offer in all steel grade and properties. The most widely used standard is EN 10249-1 and EN 10249-2. Steel grades are S235 JRC, S275 JRC, S355 JOC or others.In North America, construction companies and traders follow ASTM A328 and 328M standard. Cold formed sheet piling have been used in almost any kind of projects in many countries. Take Philippines for example, you can find cold formed sheet piles every where in Manila, Cebu, Davao, Batangas, General Santos, Cagayan de Oro etc. Metal interlocking sheet piles are also called piling sheets or Australian sheet piling, can do sheet pile foundations and extraction at lower prices. In lots of temporary projects, like Bridge piers and abutment, canals, excavation you can use cold rolled sections.In permanent applications, like Deep foundations, containment barriers, tunnel, environment, you can also find cold rolling profiles.Cold formed created many innovations in the pile industry such as wider, deeper, multiple thickness sections.This is great advantage for design institute and clients. 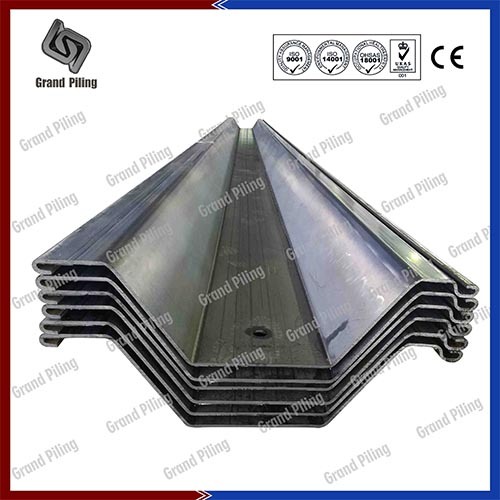 Cold formed steel sheet pile was introduced over thirty years ago. There are now over a dozen mills producing cold formed steel sheet pile worldwide compared to a half dozen hot rolled mills worldwide. Special shapes and sizes of steel sheet piles are manufactured for meeting the requirement of junctions and other similar situations.In fact, cold formed piling has never had a propensity to drive out of the interlocks like many hot rolled sheets in difficult driving conditions.When you have projects of Cofferdam, retaining walls, car parking, bulkheads, you can contact us.